TF2 doesn’t feel like a game with a lot of passive abilities. 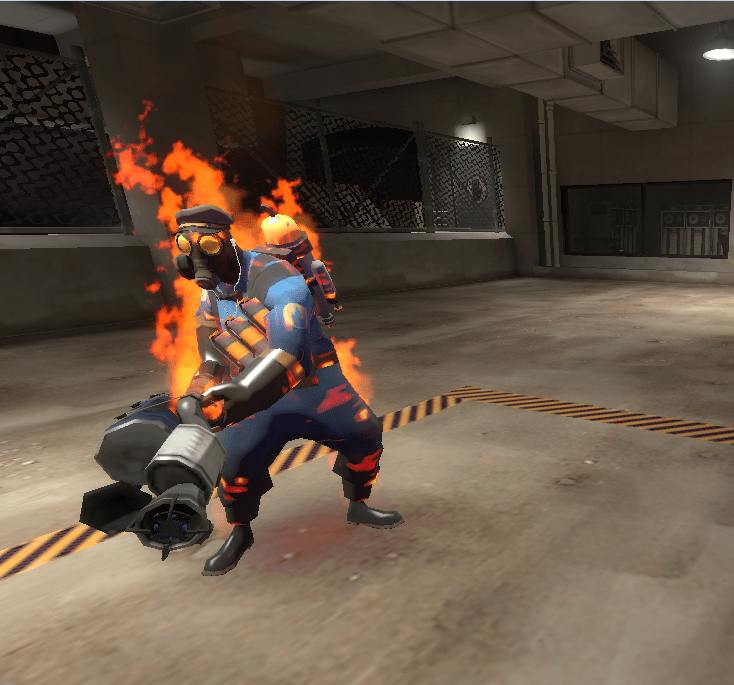 There are few obvious ones, such as the scout’s double-jump and the Pyro’s afterburn immunity, but when you look into things, it turns out that almost every class has at least one. First of all, its debatable whether “more than 125 health” counts as a passive ability. Even though its pretty clearly the baseline for TF2, some people might consider speed and health a form of statistics instead of abilities. It’s also debatable whether any ability that requires equipping a weapon would count, like “can remove sappers” or “can regenerate jarate”, so we’re not counting those. But even then, Scout can double jump and cap points at 2x, Soldier and Demoman gain self-damage resistance, Pyro is immune to afterburn, Heavy has knockback resistance, Engineer can haul buildings, Medic can regenerate health, and Spy can see enemy health. The only class that truly has no special abilities is Sniper, and this fits with how much of a one-trick pony he is. Even in the days of Team Fortress Classic he was worth playing because of his sniper rifle and nothing else. It would at least turn Pyro-v-Pyro matches into less of a slapping contest. In addition, Valve is adding more and more allclass things that water down the differences between classes. Every time a new game mode comes out with grappling hooks, spellbooks, and bumper cars it becomes less relevant what class you picked because these pseudo-random equalizers make every class capable of crazy feats of mobility, burst damage, or other team roles that normally would have gone to a single class before. This combined with unlocks has made this question a lot less relevant than it would have been back in the early days of TF2.